Manchester isn’t the biggest of cities, however that doesn’t mean it can’t offer as much as its larger neighbours across the UK. From an influential history, an energetic football culture to a vibrant music scene, not forgetting to mention the stunning outdoor scenery that surrounds its suburbs. 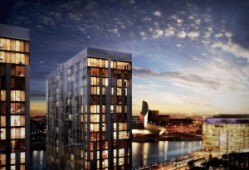 It&apos;s little wonder so many investors and lifestyle buyers are choosing to buy property in Manchester. For families, Manchester has an abundance of things to see, do and experience. Whatever the weather (although it’s more likely to be rain in Manchester than anything else), you and the kids can expect to enjoy some quality time together, that’s fun, exciting and interesting at the same time. We couldn’t possibly list all the fantastic family things to do in Manchester in one go, so for now, here’s what we think are seven of the most interesting. Possibly one of the most unique museums you could visit, the MOSI tells the story of some of the most life-changing ideas and inventions from across the world, particularly Manchester. As the world’s first industrial city, Manchester has made a huge impact on the modern world and how we live today. From the impressive steam mill engines to the development of modern chemistry, even the creation of the first computer! The MOSI celebrates all these great achievements and wants you to experience them, too. 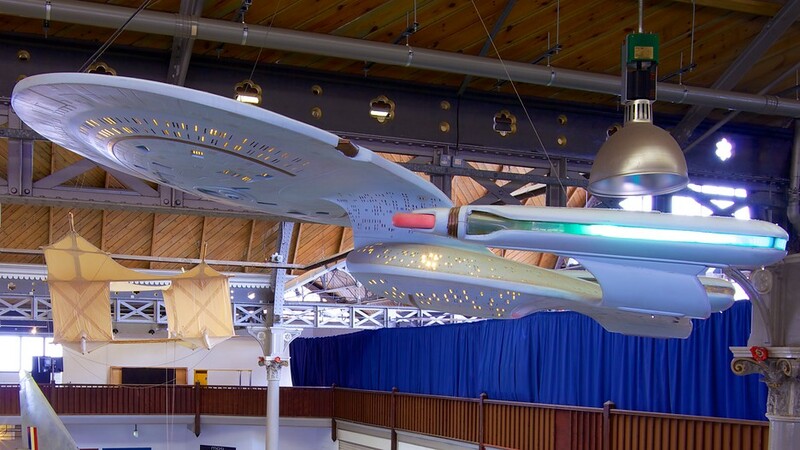 Head to the MOSI for a family day out that’s jam-packed with plenty of things to learn, as well as lots of interactive exhibitions that younger kids will especially enjoy. 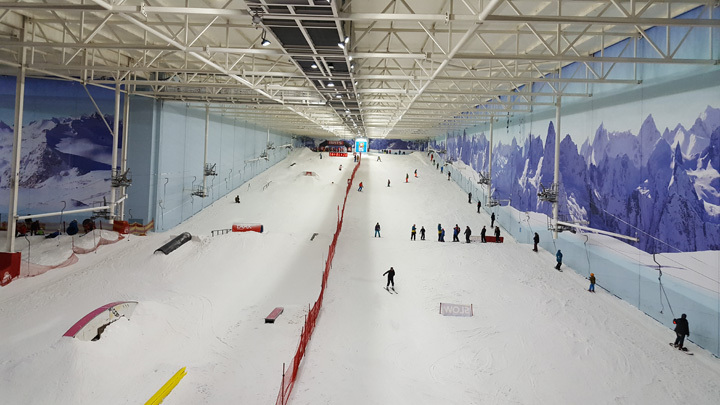 Just a few miles outside the city centre, next to The Trafford Centre, you’ll find the Chill Factore, the UK’s largest indoor ski slope, with real snow! From skiing to tubing, snowboarding to the snow park for little ones, there really is something everyone of ages and abilities here! Once you’ve enjoyed some time in the chilly indoors, head to one of the restaurants on offer at the Chill Factore, to relax and replenish and enjoy some well-deserved grub. Whilst you’re here, you could even take the opportunity to make the most of the other attractions nearby. Browse the hundreds of shops at The Trafford Centre, or brave the iFly indoor skydiving experience. You and the kids could try your hand at some golf at the Trafford Golf Centre across the way! 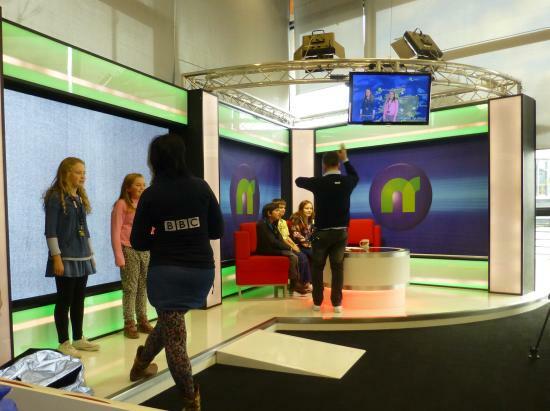 If you’re spending time in Manchester with younger children, then a trip to the CBBC tour at MediaCity is a must. Kids from all over the country enjoy waking up and watching some of their favourite CBBC shows every day, so why not give them an extra special day out to the set itself! Take them to try their hand at presenting the latest news and weather updates, as they explore the colourful set that they see on tv every day. The tour takes around 1 ½ - 2 hours, so if you have some time afterwards, head across the way to the Lowry, where you’ll find a variety of workshops for kids to get involved with. From dancing to learning about space, even theatre shows dedicated to children, there’s a wealth of things for the family to enjoy, all under one roof at the Lowry. Adults and older children alike will revel in the exhilarating excitement to be had at Breakout. 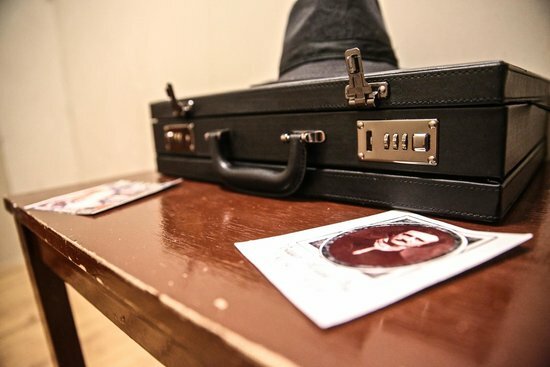 Offering a variety of different live escape room games, head to Breakout for an hour of fun, as you find clues and solve puzzles to make your way out of the room. You have 60 minutes to outsmart the game and return to the real world. From murder mysteries to haunting horrors, Manchester themed delights to wild west wanderings, there’s so much variety in the games available that you’re bound to find something for everyone to enjoy together. Football is a huge part of the Manchester culture and the two major teams welcome fans from around the world all year long. Whilst competition is fierce between Manchester United and Manchester City football clubs, one thing they share in common is how proud they are of their histories and achievements. 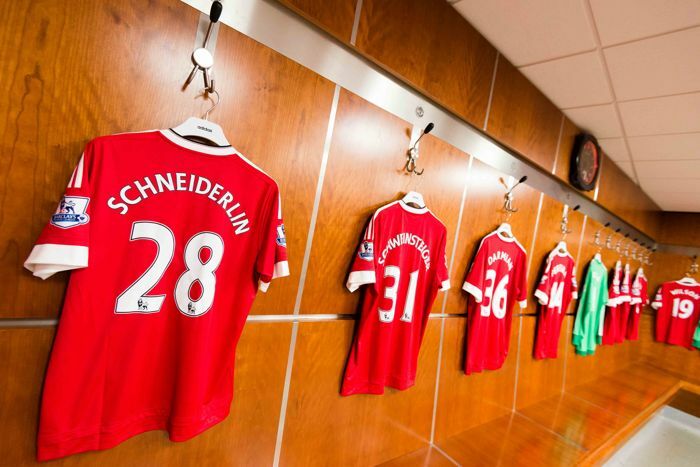 Whether your family is a fan of one team in particular, or if you just want to visit some of the best football clubs in the world, a tour around one or both of the stadiums is a brilliant day out for football fanatics. Stroll around the museums for an insight into the history of the clubs, see some of the hard-earned trophies and see where the magic happens with a look over the pitches from the stands. If you’re celebrating something special, why not book onto a legends tour, where you will have the chance to meet some of the teams’ biggest legends, as they inspire you with stories of times gone by. 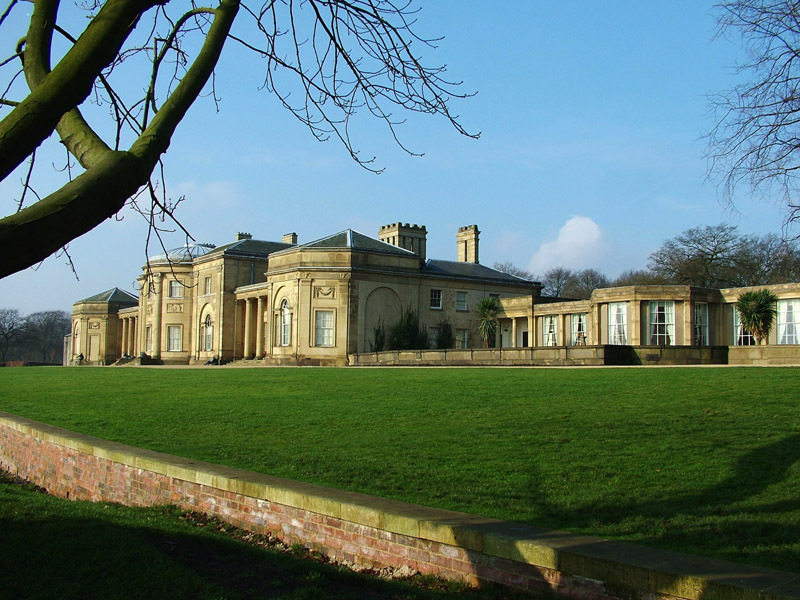 Spend a sunny day with the family at Heaton Park, the biggest park in the North West, located a few miles outside the city centre. There’s plenty for families to enjoy here, from the three full-sized football fields to the petting zoo, a large lake with pedalos to the train that makes its way around the park! It’s the perfect place for some fun in the sun, when the city centre gets a bit too hectic and you’re looking for a bit of fresh air. There’s also plenty of free parking along with a restaurant, making it simple to get to and and easy enough to spend the entire day there, if you wanted. The Legoland Discovery Centre brings brilliant fun to Barton Square at the Trafford Centre! Your family could easily spend half a day here, if not more, with a wealth of amazing activities and attractions to get involved with. Head to Miniland, where you’ll be amazed by the detail of the interactive lego city. See a show at the 4D cinema, and take a trip on the Kingdom Quest laser ride! There’s also plenty of workshops and mini attractions to enjoy some quality time with the children. After the tour, your kids can head to Ninjago City, where they can lives their dreams of becoming a real-life ninja. Whilst visiting Barton Square, why not spend the second half of your day at Sea Life? Learn about the big blue ocean and discover the cute and sometimes creepy creatures that live there. 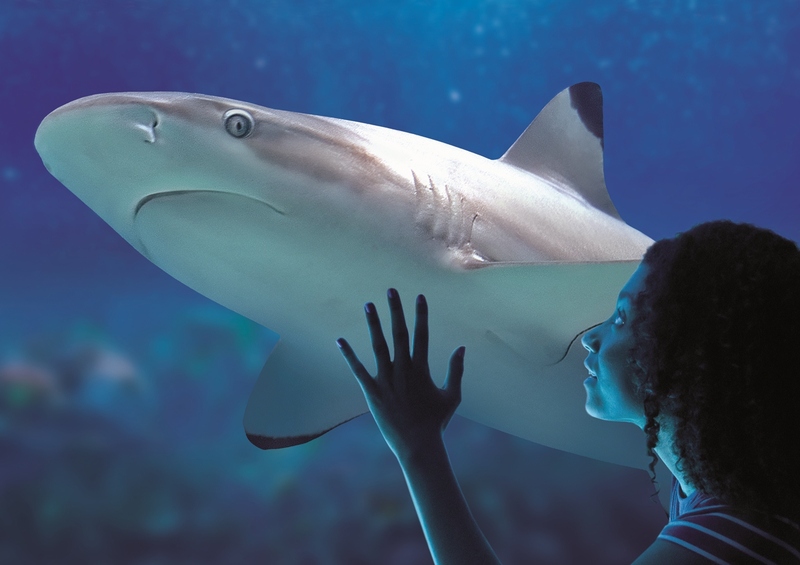 Explore rock pools and watch in amazement, as sharks swim around you as you pass through the glass tunnel. There’s also a number of talks and feeding shows, where you and the family can learn more about your favourite underwater animals. For those who are brave enough, there’s also the option to feed sharks for yourself for an additional price, or if you’d prefer, feed the turtles instead! 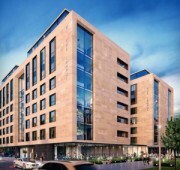 Boasting a plethora of on-site social facilities and high quality build, these flats for sale in Salford are the ideal Manchester investment for those looking for easy buy-to-let options – contact us today for more information.